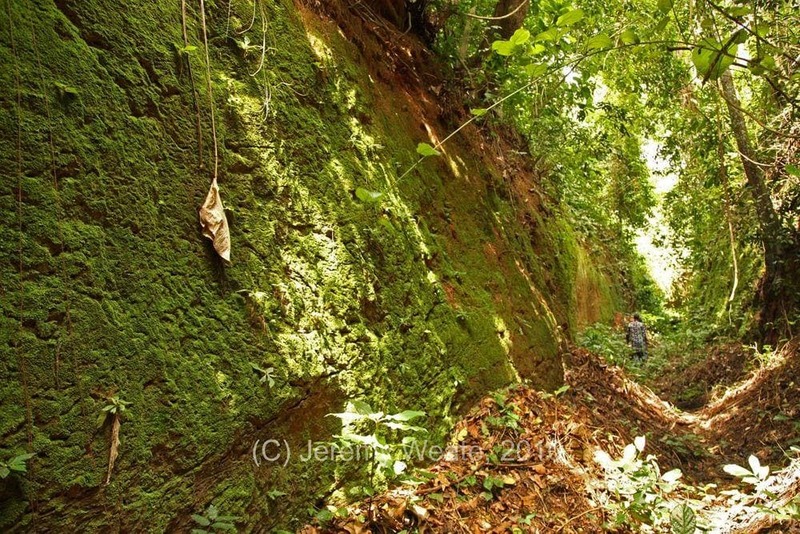 The Western African rainforest or rather its remains are hiding numerous archaeological wonders that are waiting for curious researchers. The local people and their culture still represent a living link to many of these monuments, which are often surrounded with mysterious traditions and beliefs. Sungbo’s Eredo is just one of them; but the largest one. This enormous fortification line included such “secret weapons” as the demons that lived in the ditches of fortifications. This is the largest known ancient man-made structure south of the Sahara. Since at least the 8th century AD, enormous systems of walls and ditches have been built in the area of contemporary Benin and western Nigeria. These structures testify to the comparatively advanced state of cultures that developed in the African rainforest. The total length of these ancient fortifications exceeds 6000 kilometres and even their location is still being mapped by interested specialists and more in-depth research is a task for future. This could be the largest single archaeological monument in the world. Sungbo’s Eredo is a comparatively younger structure, finished sometimes around 1000 AD after two centuries of construction. Although this is a real structure, it belongs in the realm of the legend and myth. It is named after the legendary noblewoman Bilikisu Sungbo, who locals are convinced was the same Queen of Sheba that was mentioned in the Bible and the Koran. Eredo means – “ditch”. 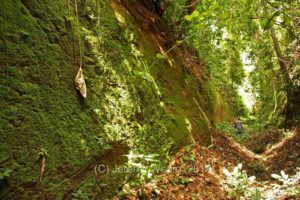 Eredo represents a system of walls and ditches dug in laterite, a typical African soil consisting of clay and iron oxides. The total length of these fortifications is approximately 160 kilometres. The height difference between the bottom of the ditch and the upper rim of the bank on the inner side can reach 20 metres. The diameter of this enormous fortification in a north-south direction is approximately 40 km and in an east-west direction, 35 kilometres. The walls of the ditch are unusually smooth. The system of walls encircle the ancient Ijebu state. The contemporary city of Ijebu-Ode is located outside it, near the north-eastern rim of this system. The amount of relocated material from this structure exceeds the volume of the Great Pyramid of Giza. 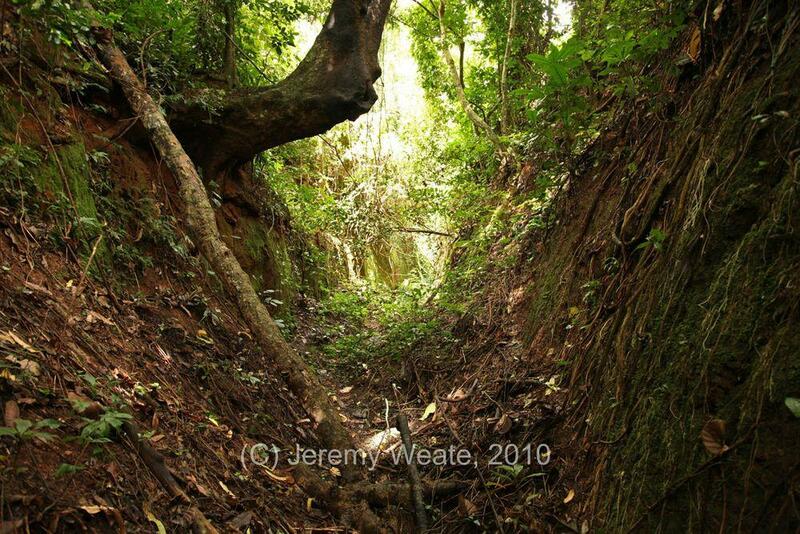 In many locations the ditch is a narrow corridor in the rainforest, with the walls flanked by trees and other vegetation, turning the ditch into green tunnel. It seems that the builders of these fortifications deliberately tried to reach groundwater or clay to create a swampy bottom for the ditch. If this could be achieved in shallow depth, builders stopped, even if only at the depth of 1 meter. According to some researchers, this is explained by the fact that this narrow strip of swampland around the land of Eredo was told to be inhabited by demons protecting the land – thus making it a spiritual and not a military fortification. In some places small, conical idol statues had been placed on the bottom of the ditch. …Or seat of the Queen of Sheba? It is hard to trace the origins of this legend. It may have come from ancient times or it could have been influenced by Islam, but as the story goes, the kingdom encircled by Eredo was ruled by a childless women named Bilikisu Sungbo. She ordered this spiritually charged fortification to be built around her kingdom. Locals believe that this woman is the Queen of Sheba. After all, this legendary queen (according to the Koran) lived in Africa describes herself in the Song of Solomon as “I am black but comely…”. It is told that she sent to King Solomon a caravan of gold, ivory and other valuables. The Koran recounts that she lived in Ethiopia, but why shouldn’t we assume that there were ancient trade routes across Africa in ancient times? Such legends seem to describe cultural interactions as for example, the existence of important trade routes and political contacts. The grave of Bilikisu is located in Oke-Eiri inside Sungbo’s Eredo. This is an important site of pilgrimage, but there is some scepticism about the authenticity of this monument as it was “discovered” only in the early 20th century. Sungbo’s Eredo over the last decades has been repeatedly popularised by Dr. Patrick Darling (UK). Still, this outstanding monument, a witness of ancient West African rain forest states, is waiting to take its well-earned role in history books just like numerous other lesser known monuments on this planet. Worldhum, The Lost World of Nigeria. BBC, World:Africa. Searching for the Queen of Sheba. Darling P. (2016) Nigerian Walls and Earthworks. In: Emeagwali G., Shizha E. (eds) African Indigenous Knowledge and the Sciences. Anti-Colonial Educational Perspectives for Transformative Change. SensePublishers, Rotterdam. 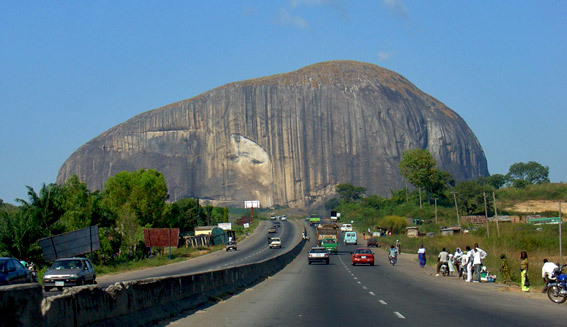 Although Nigeria does not belong to popular tourist destinations these days, this large multicultural and geographically diverse country has many surprising and little known attractions. Historical archaeology is experiencing a surge of interest in West Africa, after decades of relative obscurity. The papers in this volume represent the most recent findings by scholars who are committed to melding written history, oral tradition, and archaeological data into a dynamic understanding of the recent centuries in Nigeria.